The Bansenshukai (Sea of Myriad Rivers Merging) is a multi-volume secret written transmission (densho) of Iga and Koga Ninjutsu. It was compiled by Fujibayashi Yasutake (also, Yasuyoshi) of Iga in the fourth year of En'o (1676). The Bansenshukai collection includes one volume of introduction, question and answer section, and a table of contents; two volumes on thought and philosophy; four volumes on leadership; three volumes on Yo; five volumes on In; two volumes on astrology; and five volumes on weapons. The Koga version has twenty two chapters bound in ten volumes with an additional one volume. The Iga version has twenty two chapters bound in twelve volumes with additional four chapters in four volumes attached to it. The Bansenshukai is a written transmission of philosophy, military strategy and tactics, astrology and weapons that are identified specifically with Ninjutsu. Although the author of the Bansenshukai was influenced by Chinese thought, and even indicates a connection to Chinese military traditions, he presents the material as the ultimate accumulation and perfection of Ninjutsu knowledge--as the name Bansenshukai itself suggests. The title of this compendium--"Bansenshukai"--has been translated for many years as "Ten Thousand Rivers Flow Into the Sea," and while some writers still use this translation, it is not what the author had intended for the work. When I began to translate the Bansenshukai during the late 90s, this mis-translation immediately caught my attention for its lack of meaning, and being more of a simple statement rather than a title. Then, when I first translated it as "Sea of Myriad Rivers Merging," my first consideration was the influence of Chinese texts, which means that it has to be translated to Japanese before translating it to English. The second consideration, which carries much more weight, is an explanation within the text about its philosophy--being a collection of knowledge from many sources. Thus the compendium is a sea of knowledge filled by information from many resource rivers. The original hand written text of the Bansenshukai does not exist anymore. 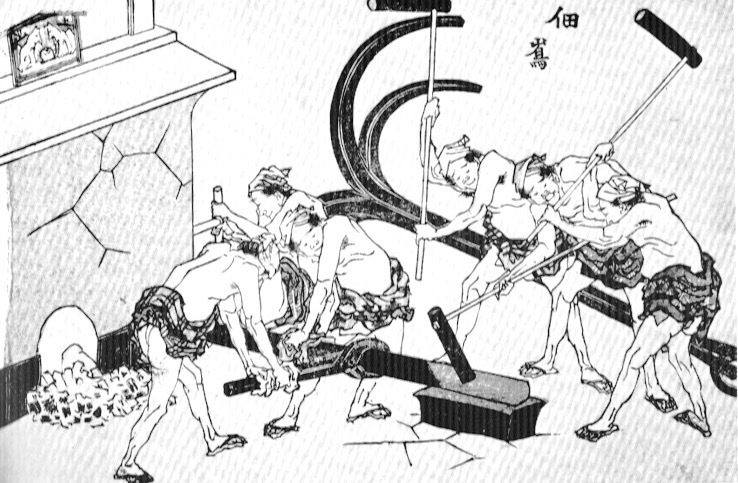 Instead, there are original copies were produced from the original by individuals during the Edo period. We cannot tell whether the current "original copies" are texts copied directly from the original, or are copies of copies. This is not unusual for texts meant to have a wide circulation, similar to many other important texts of which only copies are left. A limited number of faximiles of a hand written copy of the Bansenshukai were offered to the public after WW2, but the publisher stopped producing more copies and there are none available for purchase. For those interested in reading the Bansenshukai in its original language (a form of Japanized Chinese called kanbun), some major national and university libraries hold a copy of the collection. Selected translations of the Bansenshukai published in this site were made from a faximile copy (eishahon) of the original text.